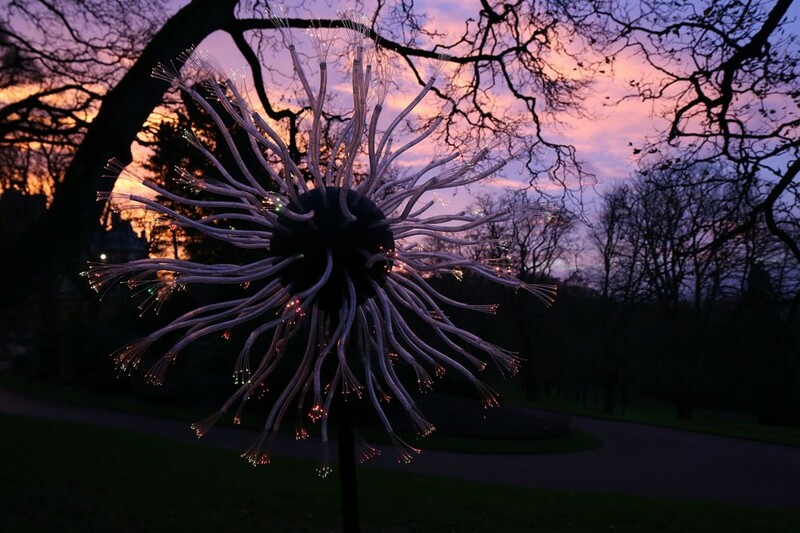 Eden Blooms evolved from a number of design concepts centred on Munro’s fascination with the development and repetitive use of singular components. 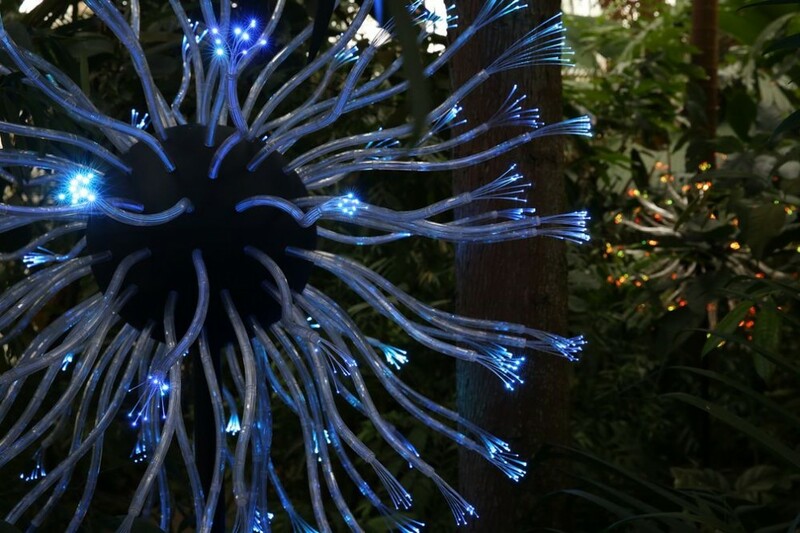 The final concept for the piece was formalised during a visit to the Rainforest Biome of the Franklin Park Conservatory, OH. 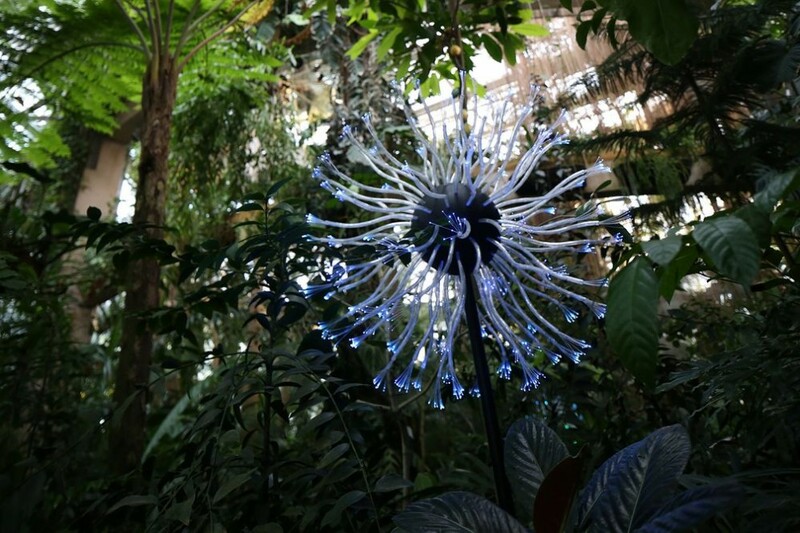 Among the lush tropical flora and fauna Munro imagined exotic illuminated blooms emerging. 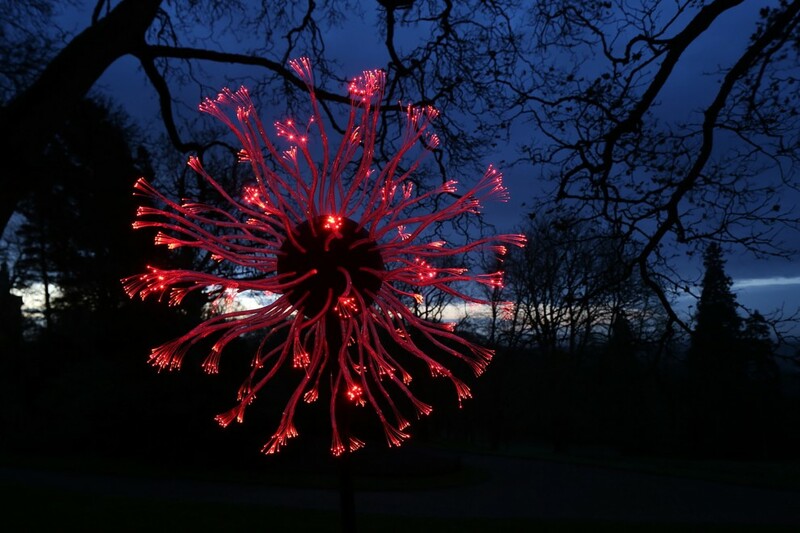 The form of Eden Blooms is based from the repeated use of a short, 12 sided, extruded acrylic component that Munro first started to develop in 2010. 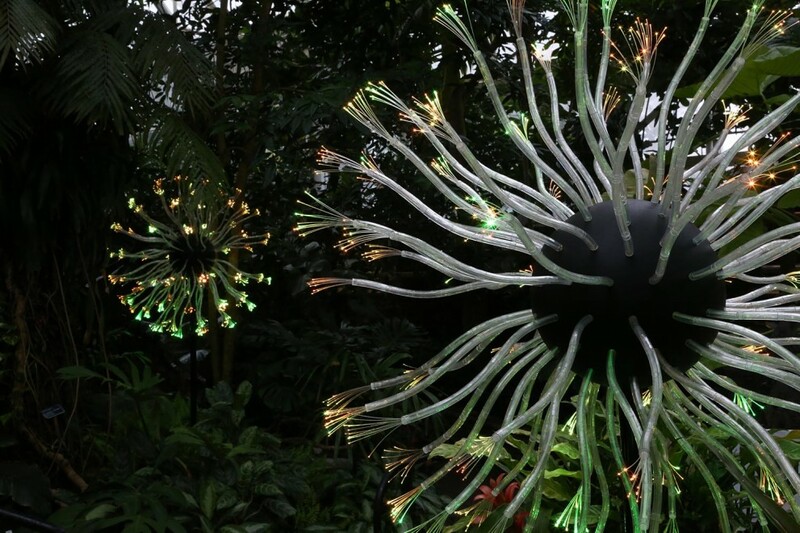 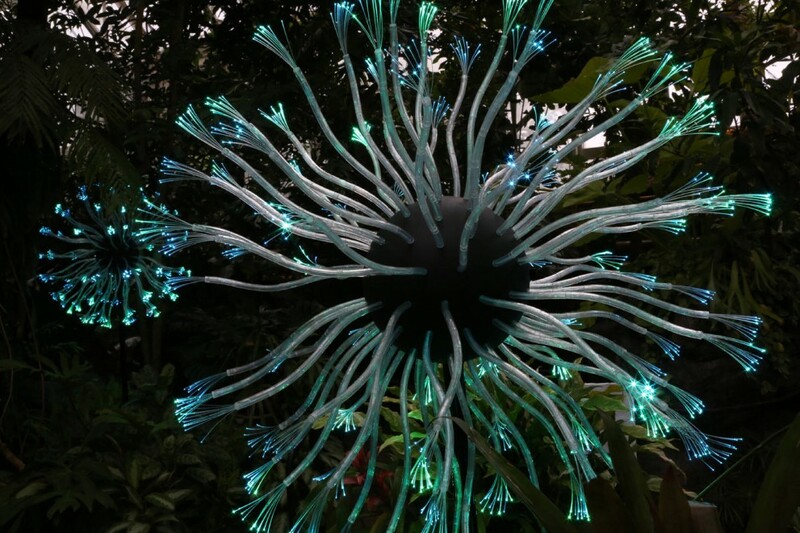 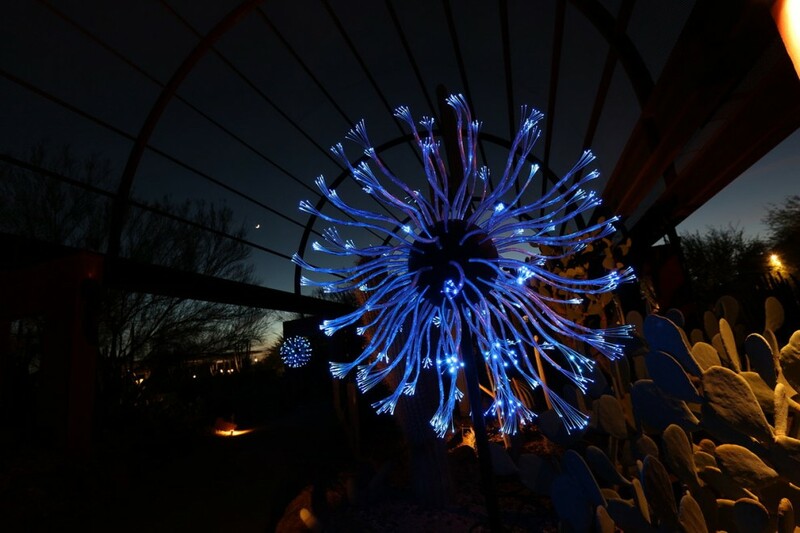 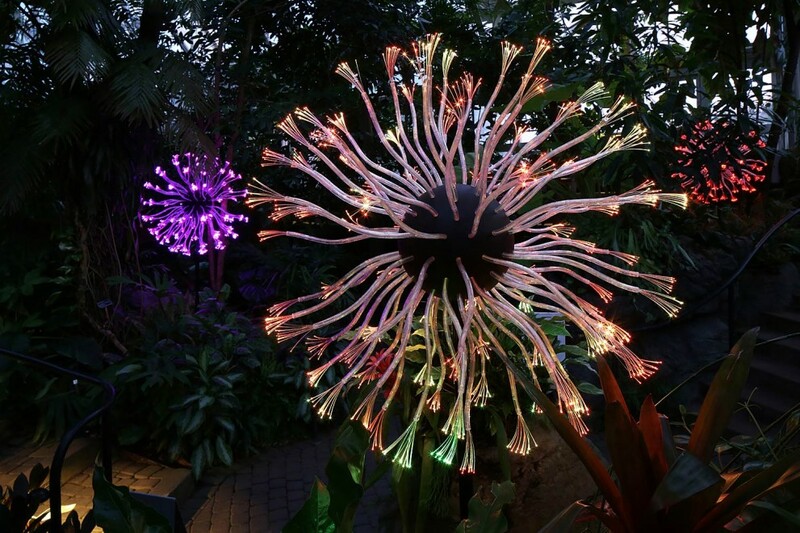 The piece is threaded with lengths of optical fibre and the use of light source provides strong vibrant colours akin to the tropical blooms of Munro’s first imaginings.